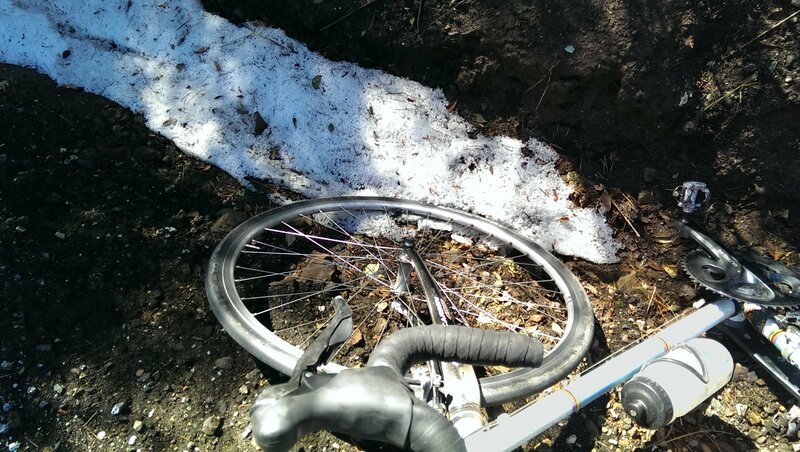 Hailstones line a ditch on Skyline Boulevard near Alpine Road. While the East Coast digs out from record snowfalls, here in sunny Silicon Valley we can only offer up some puny hailstones. I’m glad I missed it Saturday on Skyline Boulevard. Sunday’s weather proved more favorable for riding. This entry was posted on March 2, 2015 at 8:48 am and is filed under News. You can follow any responses to this entry through the RSS 2.0 feed. You can leave a response, or trackback from your own site.